In the previous posts, I touched on the fact that there are different paper and gum types that can be found in the stamps printed by the BABN during the 1930-1935 period. Oddly enough Unitrade completely ignores the significance of these, relegating them to nothing more than a footnote - if even that. 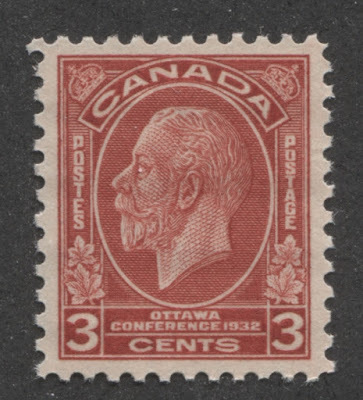 In actual fact the paper and gum types found during this period can be used to assign specific stamps to different printings by year. Today's post will explain how. In this post, I am only discussing the gum found on issues printed by flat plates, as opposed to rotary plates.